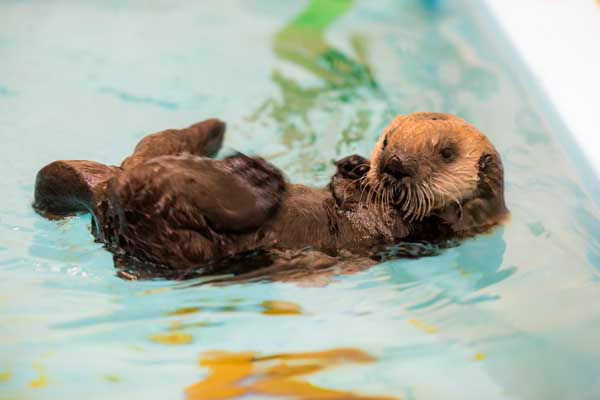 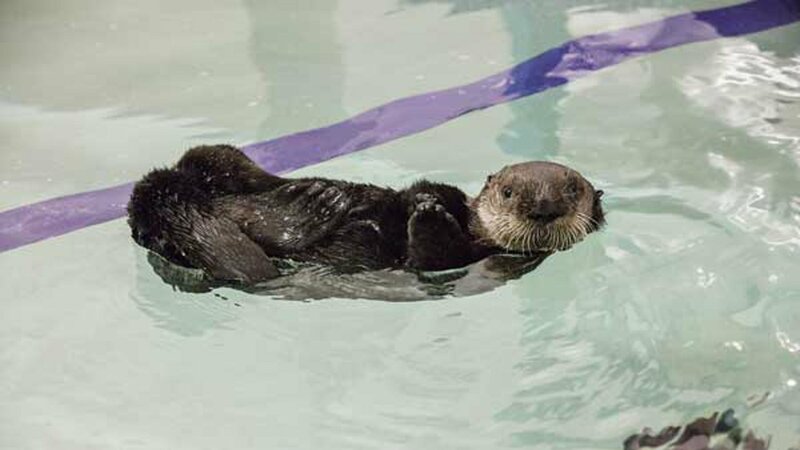 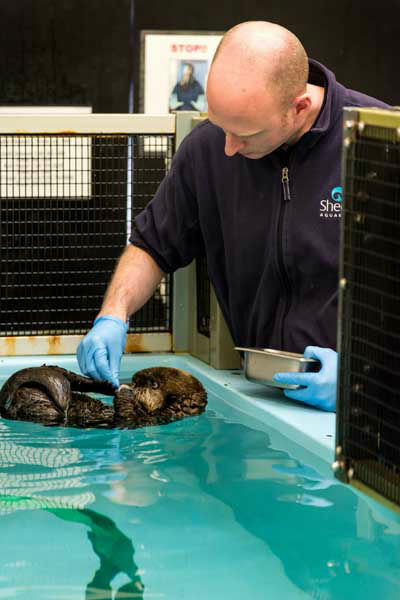 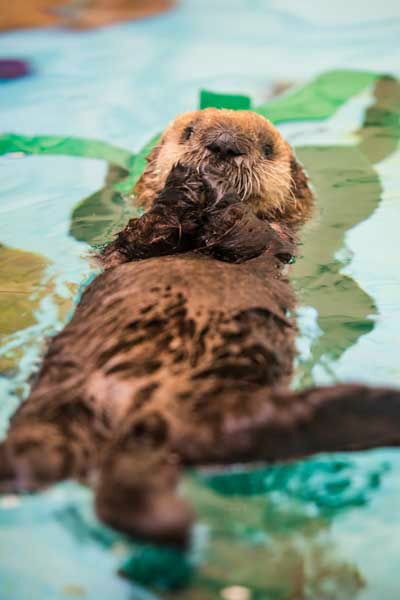 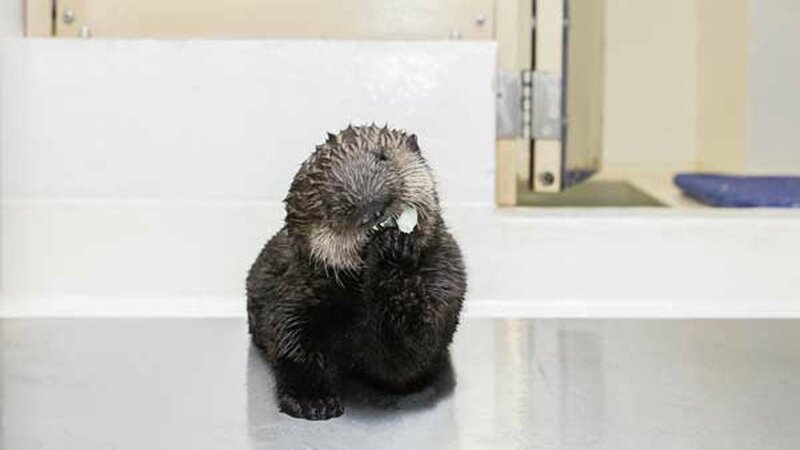 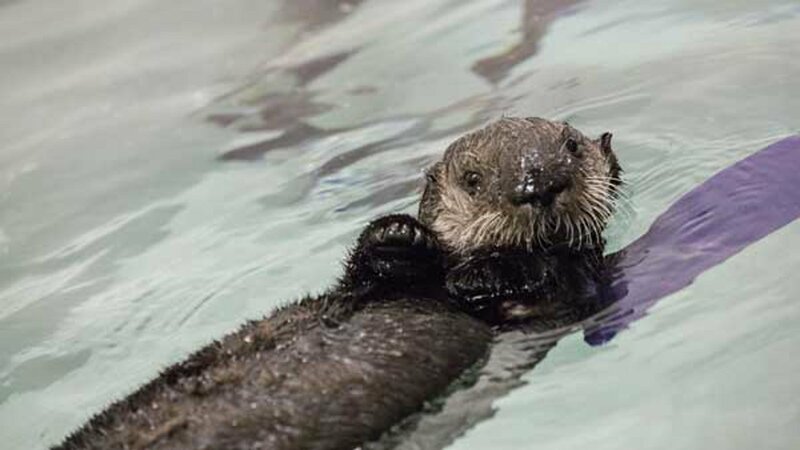 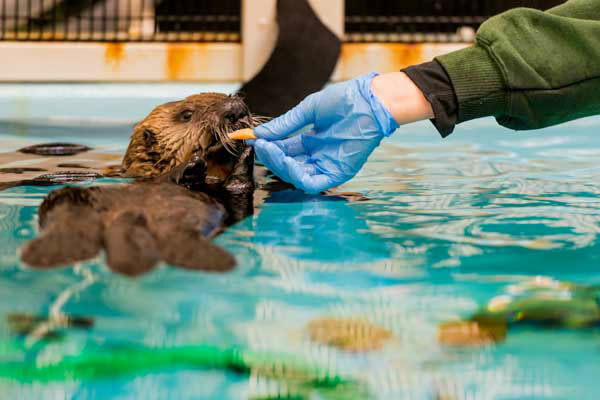 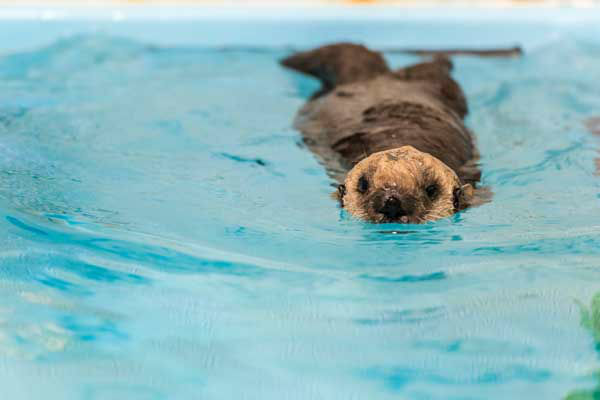 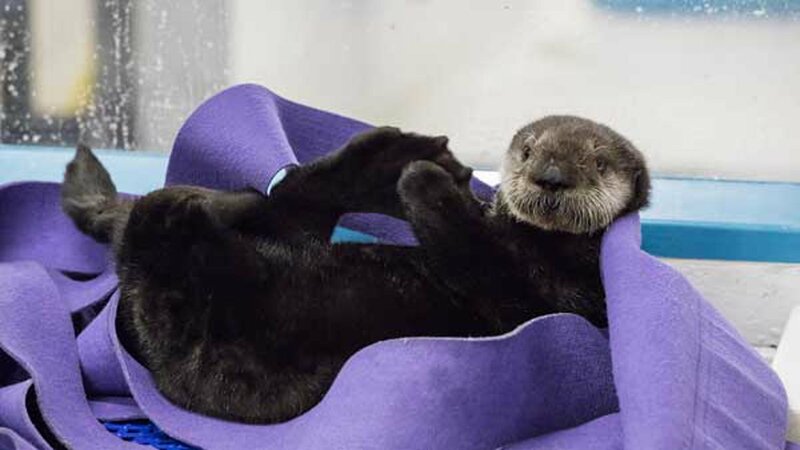 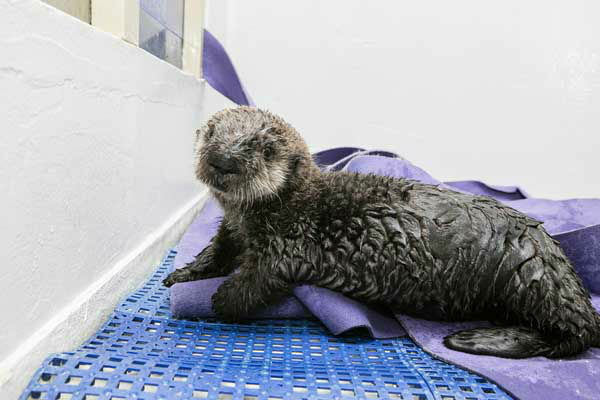 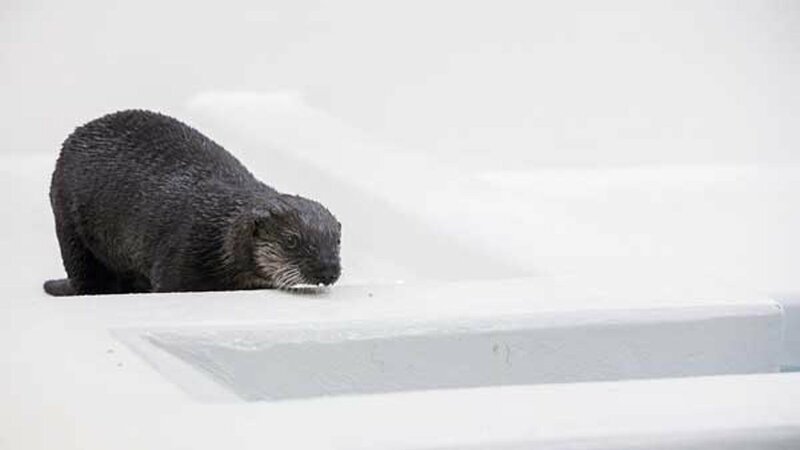 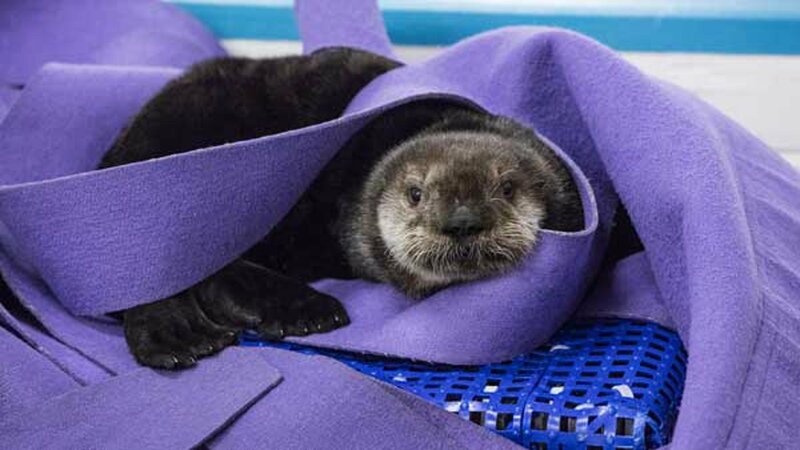 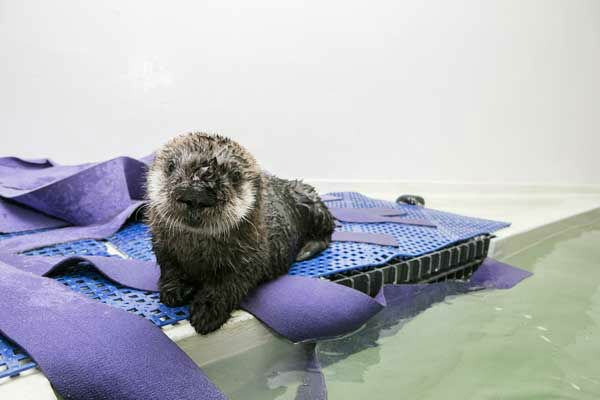 CHICAGO -- About three weeks after an orphaned southern sea otter pup arrived at Chicago's Shedd Aquarium, officials report that she is doing "swimmingly." 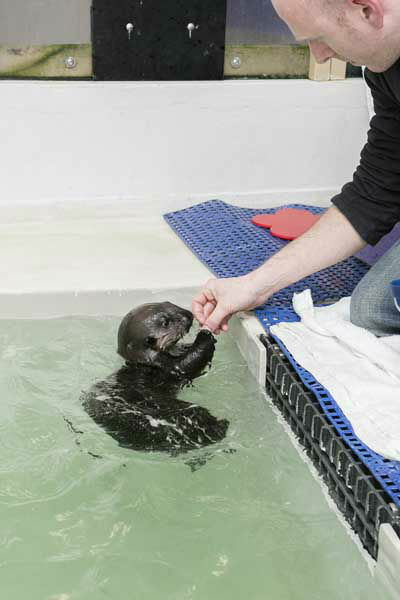 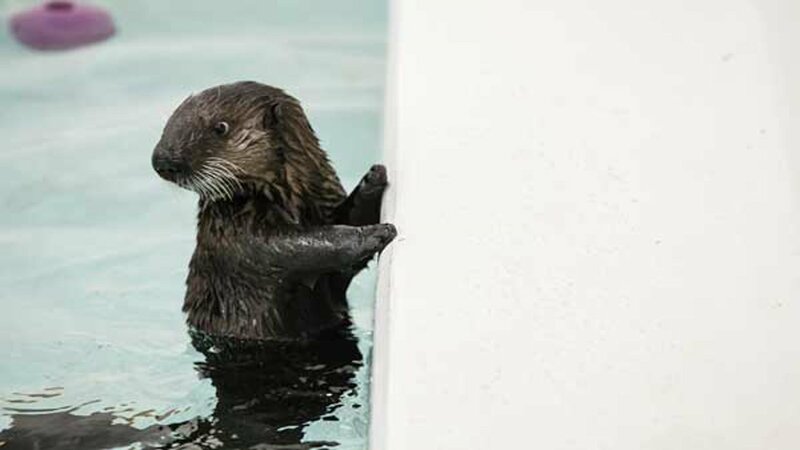 The aquarium released new photos and video of the now-13-month-old otter, named Pup 719. 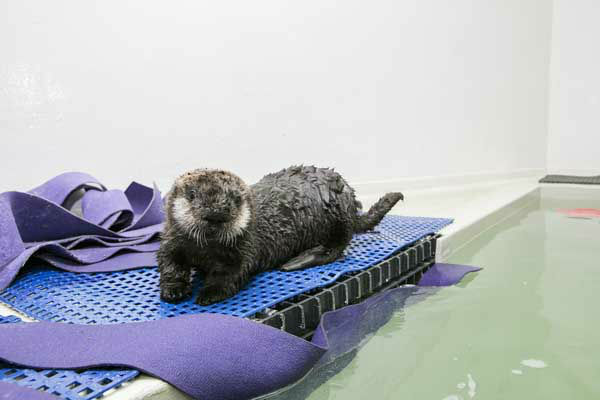 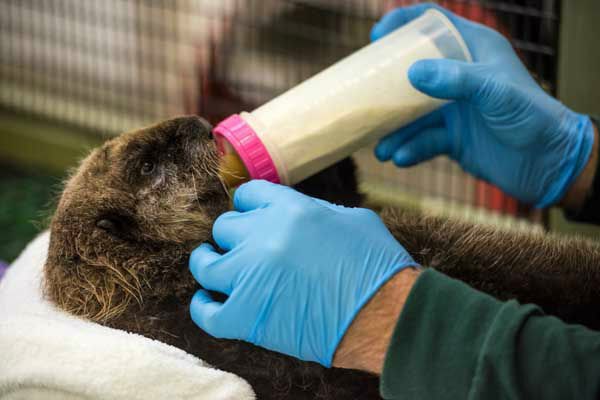 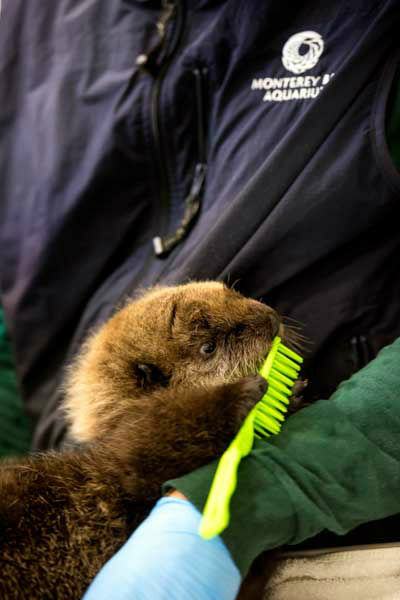 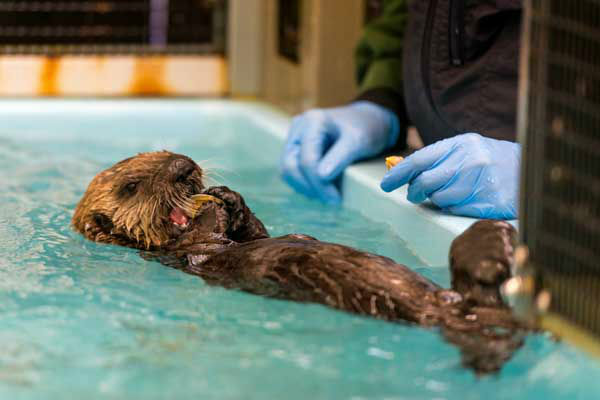 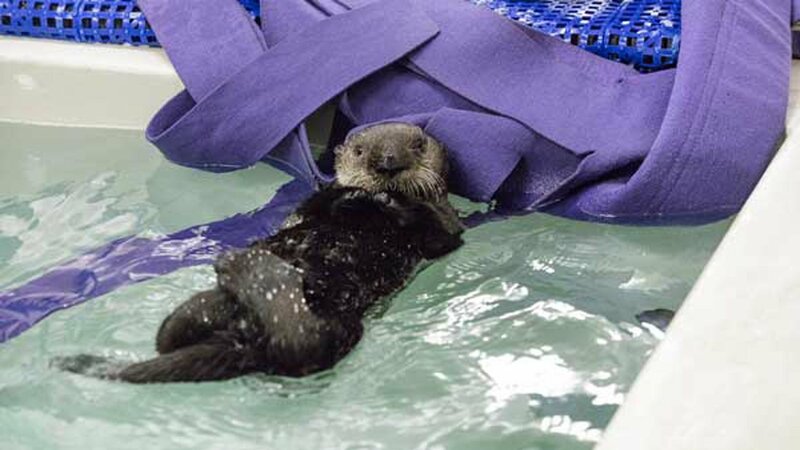 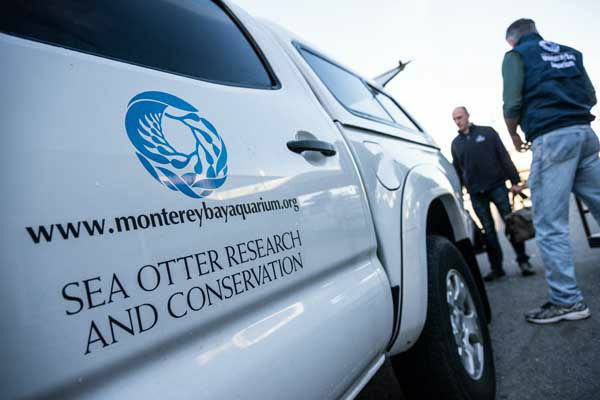 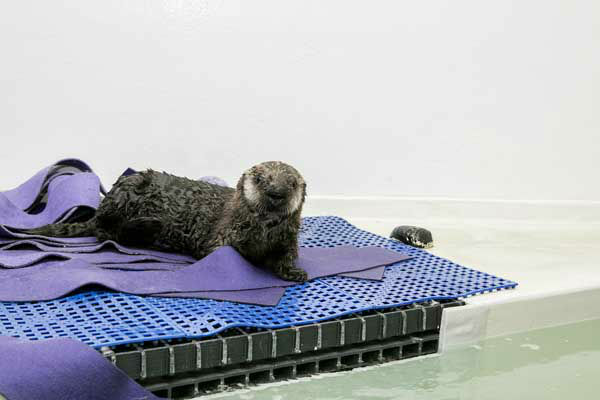 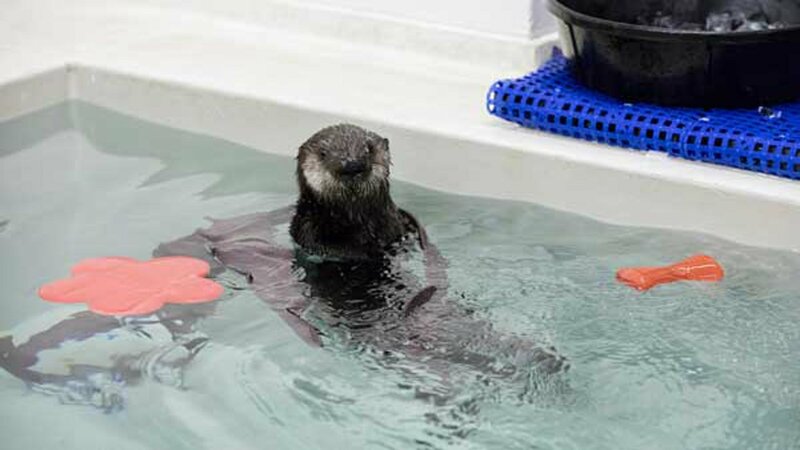 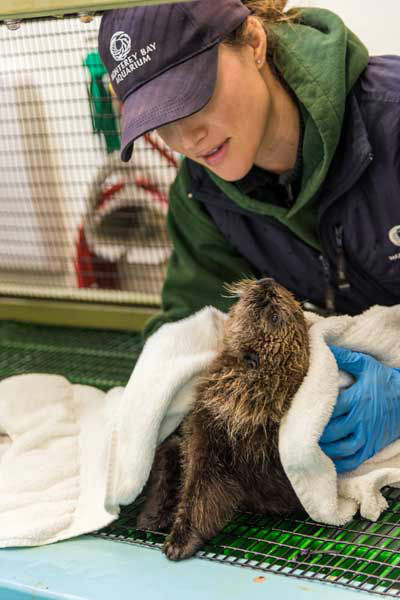 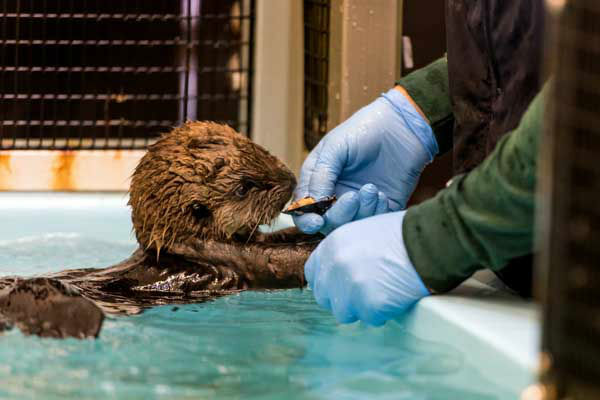 The female otter is receiving around-the-clock care after being rescued from Carmel Beach in Carmel, Calif., on Jan. 6. 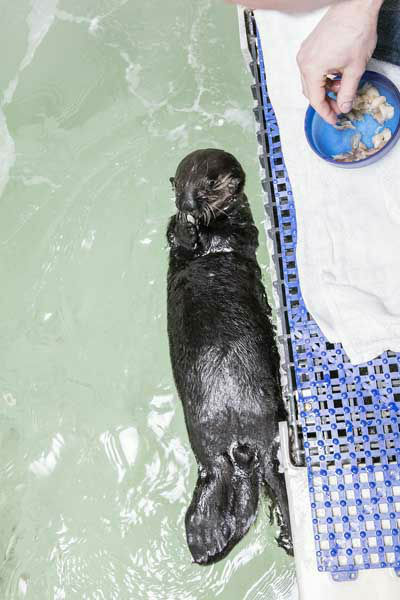 Officials said heavy storms may have been why the pup separated from her mother. 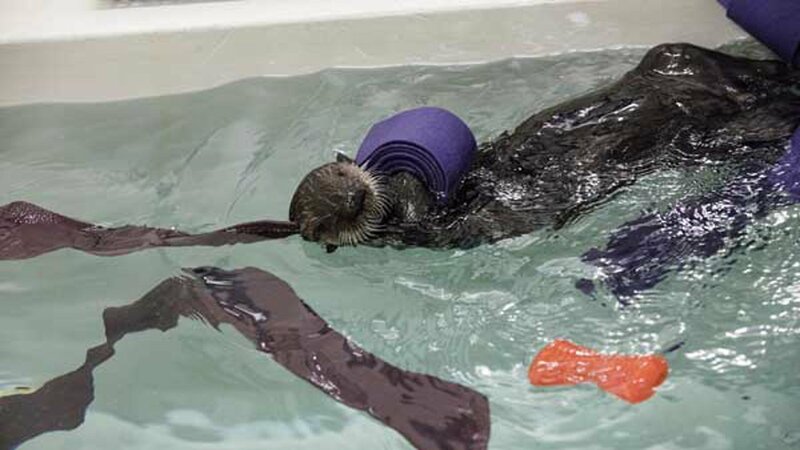 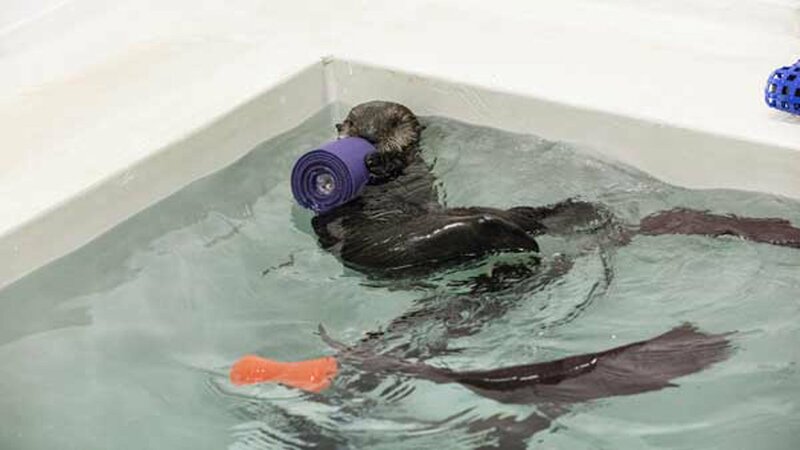 The new images of the pup show her swimming among heavy duty felt, which aims to mimic kelp, and eating snacks from a trainer. 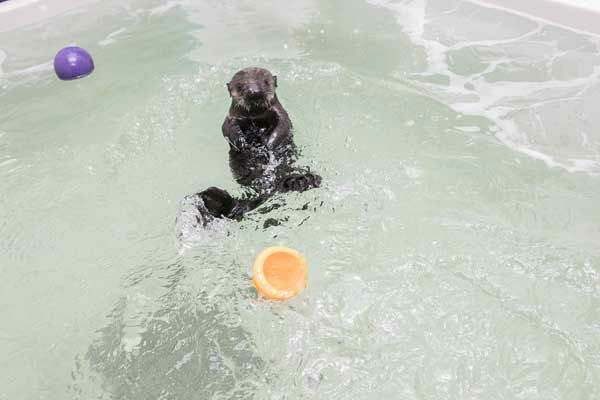 Her favorite toys now include colorful, stackable plastic cups as well as feeder balls - hollow spheres with paw-sized holes that allow the pup to dig out seafood to snack on. 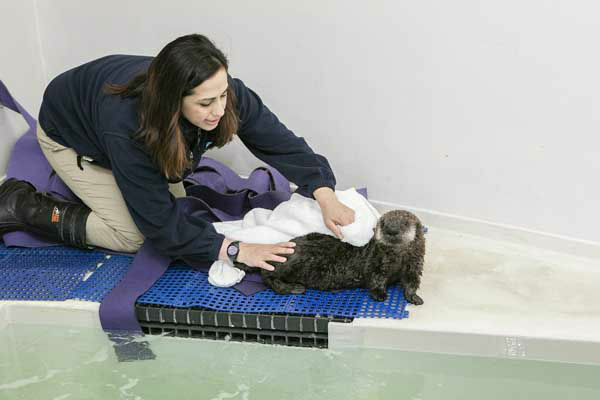 She has also begun basic training sessions, learning to touch a trainer's hand with her paw. 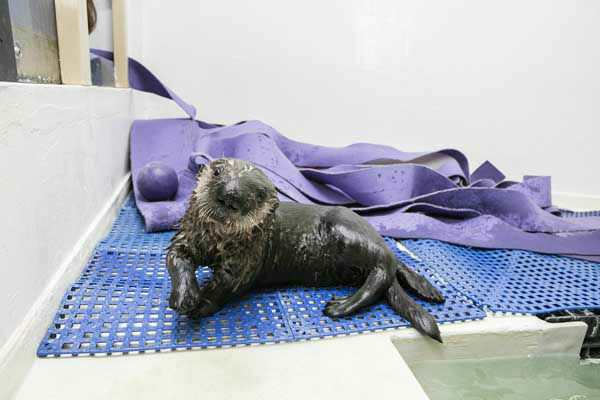 Pup 719 now weighs almost 15 pounds, gaining about four pounds in the last few weeks. 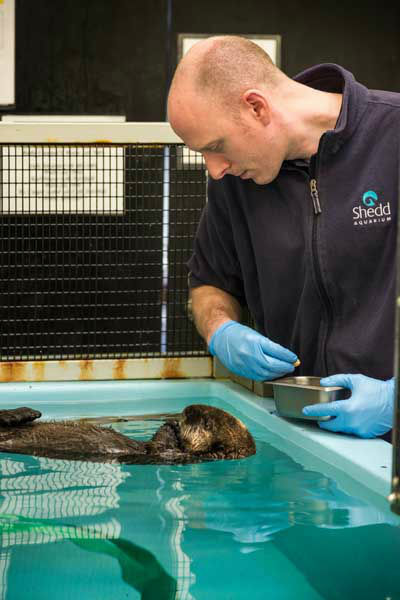 She has also hit other important growth milestones, such as weight gain, more independent grooming behaviors and eating larger portions. 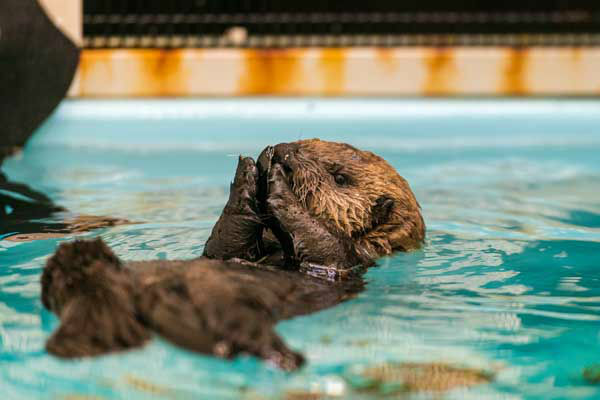 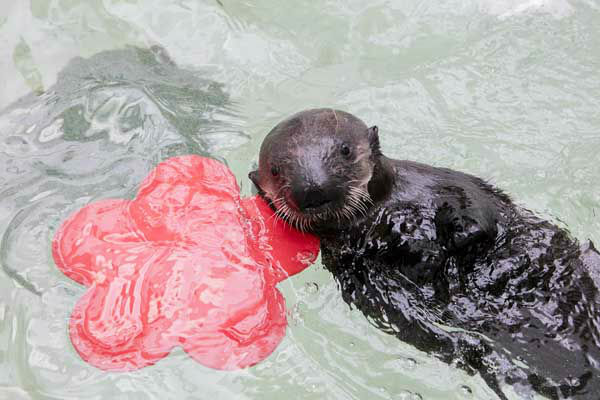 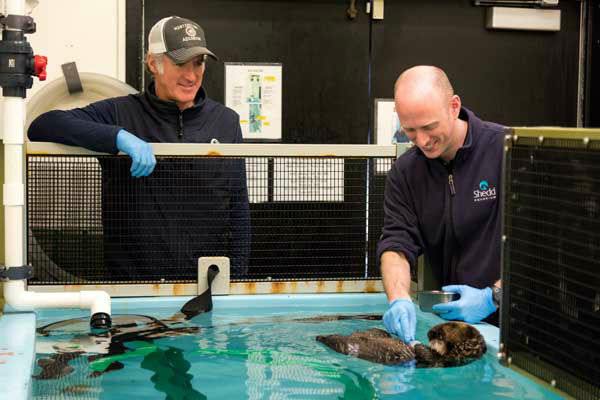 She is being introduced to a larger behind-the-scenes habitat, allowing her to dive a little deeper and acclimate herself to another environment, which is enjoyed by Shedd's four other sea otters.